The Nigerian Internet ecosystem is filled with scores of recruitment boards – NGCareers, Careers Nigeria, Naija Hot Jobs, to name but a few. 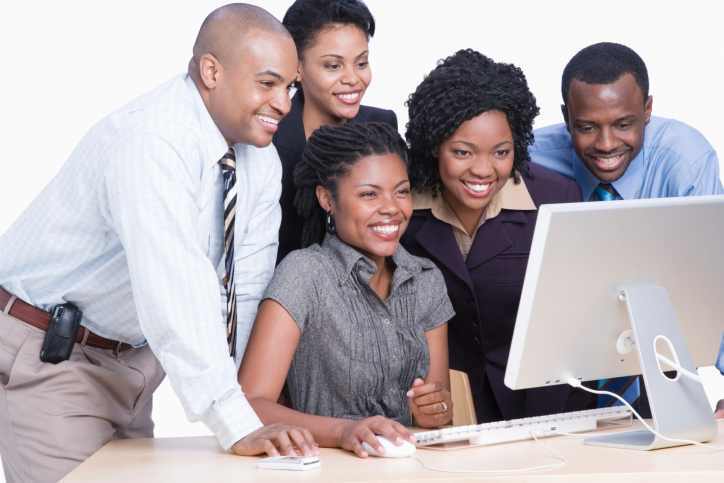 Job portals are popular in Nigeria for good reason – with almost three quarters of the country’s population under the age of 35, and an unemployment rate of over 19% (according to the country’s statistics bureau), Nigeria’s Internet savvy youths troop to job sites daily to keep themselves updated with information on job openings. Among the scores of job websites, Jobberman.com stands out. Launched about two years ago, the site has helped redefine the online recruitment space in Nigeria by bringing in a high level of professionalism with a strong focus on branding that other sites previously overlooked. With an Alexa rank of 30 in Nigeria, it is currently the number one job site in the country. We caught up with the site’s co-founder, Ayodeji Adewunmi, and asked some questions about what makes the site tick. The Next Web (TNW): What is Jobberman? Ayodeji Adewunmi (AA): Launched in August 2009, Jobberman.com is the number one Job Site in Nigeria focusing relentlessly on matching suitably qualified professionals with the right job opportunities. 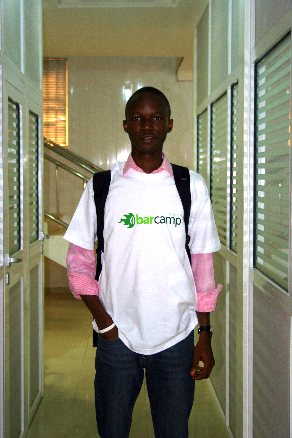 TNW: What made you go into the Nigerian online recruiting space? AA: I have a talent for trend spotting and identifying patterns. Jobs, employment and careers all within the gamut of ‘Recruitment’ continue to account for one of the highest searches by volume in Nigeria on an ongoing basis and we will see this trend continue in the medium to long term basis considering the prevailing micro-macroeconomic indicators. So it was a natural choice in terms of how large and interesting the problem is and the market opportunity. TNW: Why do you think the site was able to grow so quickly? AA: Jobberman is driven by SERVICE and offers the most intuitive products in the market. We embraced social media earlier, harder and faster than our rivals. We are a learning organization and continue to listen to the pulse of the market and that has made all the difference. TNW: There are many services involved in the online job space in Nigeria. What do you think makes Jobberman stand out? TNW: What in your opinion has been the site’s most significant accomplishment since inception? AA: Staying true to our mission – becoming the number one marketplace for job seekers and employers in Nigeria. We have over 1,000 people who have been hired via our portal and this is truly life transforming. TNW: How do you think this particularly online segment will evolve in the next few years? AA: The future is never clear. There will eventually be a preeminent industry leader as we see more print migrate online and online becomes the preferred choice for job seekers and employers. TNW: What sort of growth strategies is Jobberman currently exploring? AA: We are investing for the future to ensure we continue to offer our clients the best possible opportunity to put their job ad in front of the most relevant audience. This year we are doing two important things: One – we have tripled the size of our research budget to better understand job seeker behaviour and two, we have also tripled the size of our product department with new full time staff employed. TNW: Jobberman has grown a lot in the past few months and is currently ranked number 30 in Nigeria on Alexa. Do you aspire to be Nigeria’s top online destination? AA: We are investing heavily in offline and online marketing and also product development. We have increased spend 2,000% in marketing and tripled our Product spend as part of our continued investment in attracting the job seeker audience to Jobberman. Our goal is simple: to be the place of choice for jobs, employment, career and recruitment market in Nigeria. TNW: Does Jobberman intend to expand to other African countries? AA: We will consider interesting and exciting opportunities on a case-by-case basis and our choice will depends on a number of factors: Internet penetration, market opportunity, business environment and political climate. TNW: What sort of interest have you gotten from VCs? AA: We are a VC-backed Internet company with big plans for the future and savvy to realise them. We are always open to business and continually explore partnerships and strategic alliances that will take the business to the next level. TNW: What should we expect from Jobberman in the coming years? AA: We will keep our finger on the pulse of the market in our bid to become the preferred online recruiting choice for employers and job seekers. TNW: Thanks so much for joining us Ayodeji! For more insights from Nigerian Internet Internet entrepreneurs, why not read our interview with Obinna Ekezie, CEO at Wakanow.com. Read next: Addicted to the web? Here's how to control your Internet addiction.